Aspirus Riverview Foundation is committed to the health and well-being of people in our community. Annually, the Foundation supports Aspirus Riverview Hospital & Clinics and other community health care services and programs to improve health and quality of life for people in our community. Local health care has benefited from the contribution of nearly $4.5 million from Aspirus Riverview Foundation since 1984. The Foundation Board of Directors will review the request at the Foundation board meetings, which are scheduled to meet the second Tuesday in February, May, August and November. For community members making grant requests for community-based health and wellness activities and educational programs, please use the community grant request application. A spokesperson for the requesting organization may be asked to attend the board meeting to answer any questions regarding the request. You will be informed of the disposition of your request within one week of the board meeting. For Riverview employees making grant requests for hospital programs, projects or equipment, please use the hospital grant request application. A spokesperson may be asked to attend the board meeting to answer any questions regarding the request. You will be informed of the disposition of your request within one week of the board meeting. Funding will provide food to approximately 400 qualified households serving over 1100 individuals in South Wood County. Funding will provide assistance for individuals attempting to maintain sobriety at the Men’s and Women’s Oxford Houses in Wisconsin Rapids. Funding will provide commercial grade TRX Fitness Trainers to be used for physical education classes. Funding helps with the costs associated with a one day seminar for high school students, aimed at enhancing an adolescent’s total well-being. Funding will provide fire education videos to all elementary schools in Wisconsin Rapids School District. Funding will provide computers for the Project SEARCH classroom at Aspirus Riverview Hospital. The Project SEARCH program is a job internship program for transition-age students and adults with disabilities, nationally recognized for providing quality work experiences. Funding will provide IMPACT baseline concussion testing for area schools. 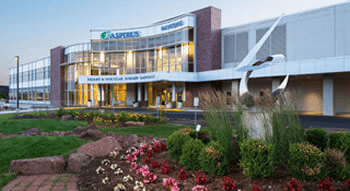 Funding supports the Cancer Patient Fund, Aspirus Riverview Patient Fund and items needed to enhance the patient experience at Aspirus Riverview Hospital & Clinics.